Our nation Australia was born 1 January 1901. We should celebrate the day as our country’s legitimate birthday. No other day qualifies. It is the first day in the history of this continent and ALL its peoples that Australia as an identity came into being. Australia as a nation was conceived through persecution and oppression, nurtured through pioneering hardship and sacrifice, and matured into nationhood with the ANZAC spirit. It was born with a deep-rooted commitment to democracy and independence. Its Constitution established its nationhood enshrined with a deep-rooted commitment to democracy and independence. It was born with unique attributes of geographical position and indigenous history. It arrived with a determination that our values of equality, justice and rights for all should be enshrined in a uniquely Australian Constitution. The bedrock of Australia’s existence is inheritance of its oldest living culture in the world. We are a uniquely different nation, different to the peoples of Asia, Europe and the America’s. We embrace and nurture people of all races and background and, when called upon, our people have fought for Australia: many have died for the values, identity and spirit we stand for. Batman supposedly makes a ‘treaty’ with the then ‘owner’-occupiers of Melbourne. Our Constitution was enacted under an Act of the British Imperial parliament which created our Australian Parliament. But without First Nations formal agreement, it lacks legitimacy and constitutional standing under international Law. According to the High Court of Australia in Mabo v Queensland (No 2)  HCA 23, (1992) 175 CLR 1 (3 June 1992), the claim to settlement by ‘terra nullius’ is not sustainable. Further, as posited by Justice Toohey in Mabo (by minority), common law possessory title by Indigenous Australians provides a sustainable claim for native title though such claim has unfortunately never been pursued. What Mabo did say indisputably is that no legislation or action has ever established British or Australian sovereignty over/above the sovereignty held byFirst Nations Peoples. The British Imperial parliament established separate State colonies on separate dates with separate and unique sovereignty based on the principle of terra nullius. If the Mabo ruling is to have credence, then the sovereign right of States to assign heads of power and to create the Commonwealth of Australia is based on the false premise of terra nullius. The States never gained sovereignty over the First Nations peoples because the land was never possessed by settlement, conquest or ceded. Further, the Constitution as proposed in 1901 was never agreed to by the Indigenous people. Many in fact did not even have the franchise to vote in a referendum because until 1967 they were considered flora and fauna. As such they were not British citizens and it could be argued that no laws created under British authority, such as the Constitution, applied to them. In 1901 sovereignty it seems resided with our First Nations People and remains so today. It will remain so until such sovereignty is extinguished by secession, conquest, settlement or Treaty. 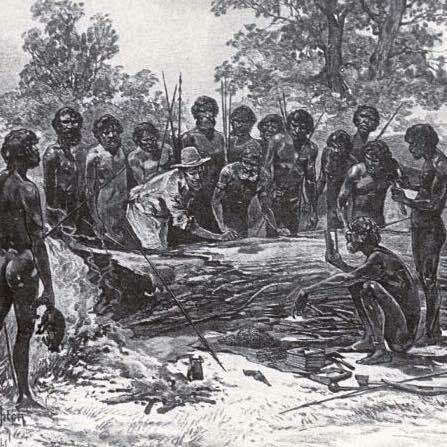 The Constitution was struck on the premise Australia was “settled” by way of the principle of terra nullius. The HCA has ruled that the same is true of the individual State Constitutions which empowered the States to create the Commonwealth. If we as a nation, and our laws struck under the Constitution, are to gain legitimacy, a treaty is required with the First Nations People. This should come in the form of a treaty tailored as a Bill of Rights to be attached to the Commonwealth and State Constitutions, in similar fashion to the Bill of Rights attaches as the first 10 amendments to the United States Constitution. Apart from providing legitimacy, such amendments would empower the Commonwealth to pass human rights legislation, including recognition of Indigenous people. deals with things inside Australia of international concern. The sovereignty of this nation, the rights of the Indigenous people and the requirement for a treaty – together, comprising the issue of nationhood – is a matter for Commonwealth not State jurisdiction. Any treaty must be national. It must also address the matters identified in the UN Declaration on the Rights of Indigenous Peoples (UNDRIP, 2007) to which Australia is a party. The most significant provision in the UNDRIP is the right to co-existent sovereignty and some degree of self-determination that is not repugnant to existing law. Recognition – as called for in the ‘Uluru Statement from the Heart’ – envisages Indigenous representation in the Commonwealth Houses of Parliament under an Indigenous-specific franchise. Much of this can be done under the current Constitution without recourse to a referendum – which would probably never succeed. The existing Constitution gives the Commonwealth the power to create a new franchise and to create representatives in both houses: it has already happened with creation of the ACT and NT territories. We should aim to enact requisite legislation and an attachment to the Constitution establishing a First Nations Peoples’ Treaty (FNPT) as a Bill of Rights to be enacted no later than 1 January 2025. The date, if agreed by treaty, should be declared Australia Day. It might be preceded on 31 December each year by National Reflection Day. Substantive recognition demands direct representation and some form of acceptable document that acknowledges the new nation and its sovereignty. By addressing that issue outright, the new Constitution would give Australia the legitimacy that it currently lacks: because the current Constitution was imposed on our First Nations People without negotiation, it stands on clay feet. the sections on the definition of Elector [s 4] and Persons entitled to enrolment and to vote [s 93] could be amended to establish a special Indigenous franchise – albeit it would need to ensure Indigenous people exercise only one vote not two. * Christian J Bennett JD writes on Constitutional matters. He is a member of CLA.